VANCOUVER – Meet Meredith Powell, co-founder/ executive director of Vancouver charity, The Next Big Thing (TNBT), which she launched last year with Hootsuite CEO, Ryan Holmes. Hollyburn is proudly involved with TNBT by providing complimentary, fully furnished accommodation right in the heart of downtown Vancouver for 6 fellows of the program who hail from out of town. Take a peek inside their colourful apartment suites here. 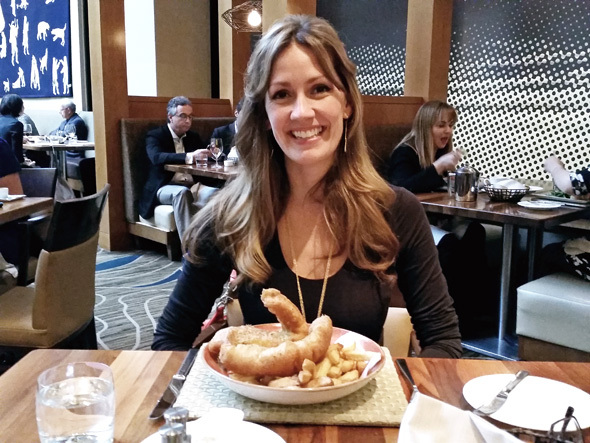 Meredith talks about Hollyburn’s role in the innovative program on her lunch date with Bob Kronbauer, founder of cult-status local blog “Vancouver is Awesome” here.